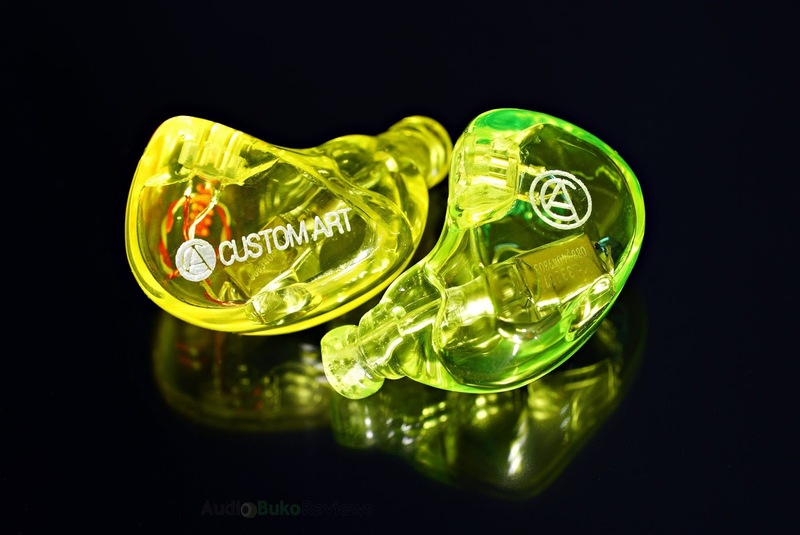 Introduction: Custom Art was founded in 2012 by a passionate audiophile named Piotr Granicki, and what started as a one man show has become one of the more respectable brands in audio and well known within the audiophile community. 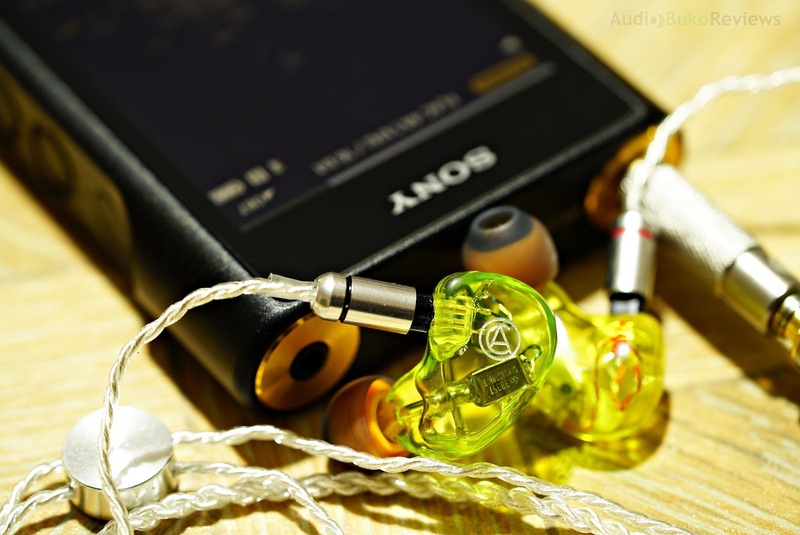 They specialize in creating handcrafted custom and universal IEMs under the philosophy of providing the best products possible at the most affordable prices. 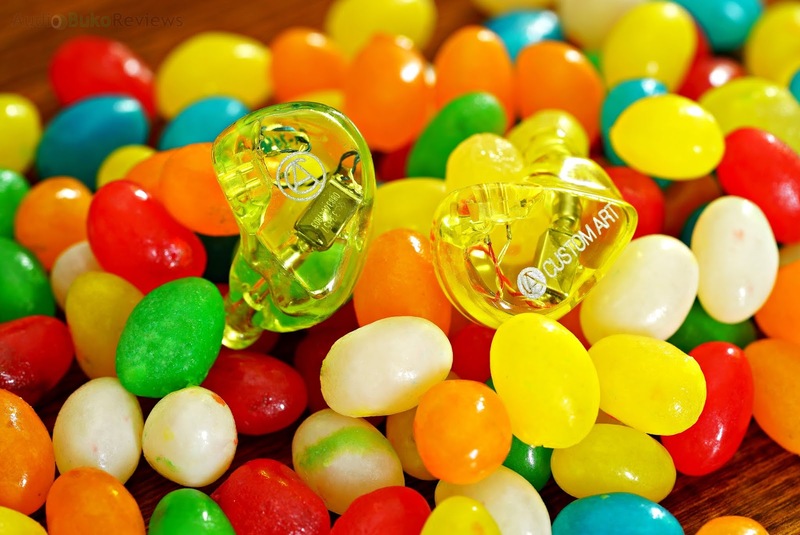 They are currently one of the few companies that offer custom units in both standard acrylic and soft comfortable silicone IEMs that is meant to allow longer wear time. 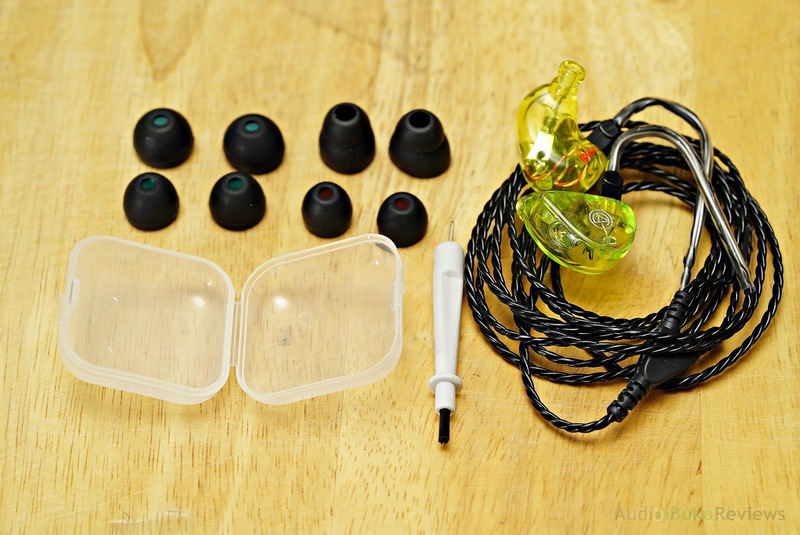 Among their lineup, the one I'll be reviewing is their entry level FIBAE 1, which is short for Flat Impedance Balanced Armature Earphone (you can read more about FIBAE HERE) which basically allows it to be impervious to frequency shifts due to source output impedance by having a flat impedance and phase. I would like to thank Piotr of Custom Art for providing me with a review sample in exchange for my honest and unbiased review. You can buy the FIBAE 1 at the Custom Art website or locally if you have an official retailer for Custom Art. 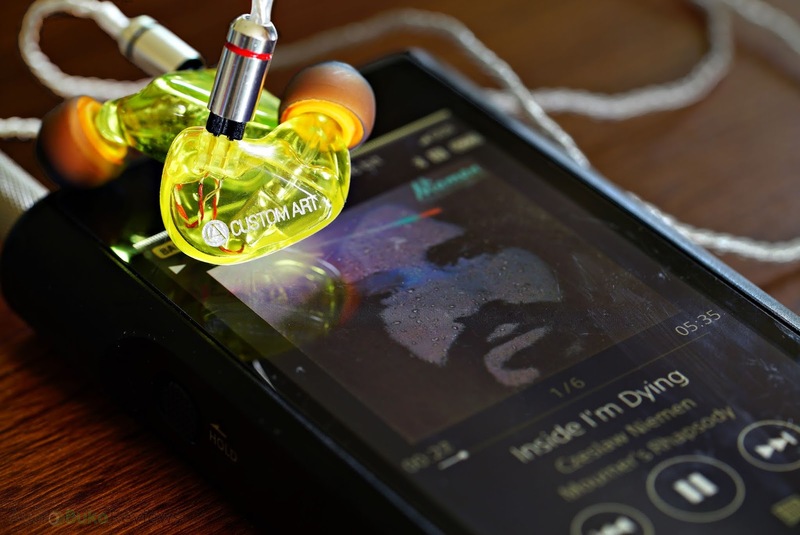 Aside from the above, the FIBAE 1 has an advanced horn nozzle design and a vented receiver for improved bass response. These are my lowest impedance gear at the time of writing and this can be driven by practically anything and up to a substantially loud volume. Like most good ear gear, the FIBAE 1 will scale to the source and will still sound good on your phone but a lot better with higher quality sources. Unboxing: Custom Art has a standard way of packaging their products and it's simple yet at the same time personal, like a gift from a friend. 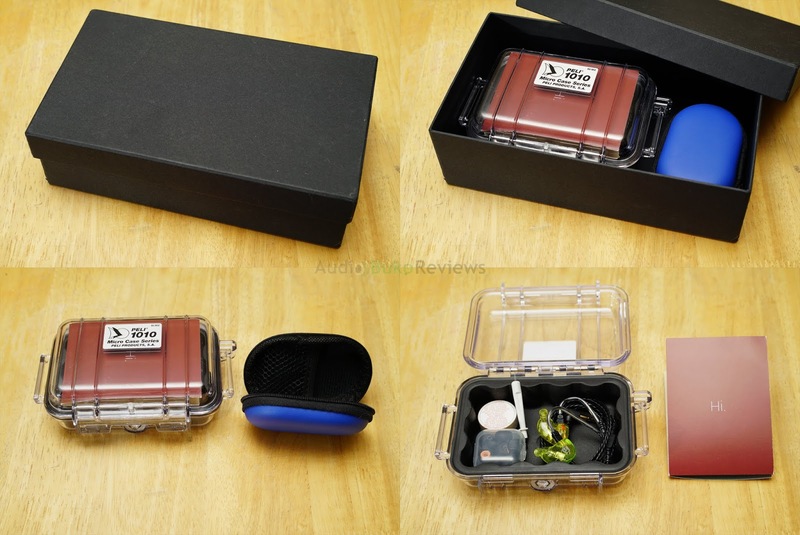 A simple spacious box, a Peli 1010 and a small zippered case will greet you once opened. Inside the gorgeous Peli case, is the drying pallet (desiccant), a small case of tips and the FIBAE 1 attached to the cable. Suffice to say, the way it's packaged inside (the welcome card on top of the contents to prevent the things inside from banging into the cover) guarantees a safe trip anywhere in the world as the Peli case is nicely padded on the inside and feels sturdy on the outside. Cable/Build/Design: The Custom Art uses standard spc cables for all their lineup, a simple black (or grey, selectable during ordering), smooth and flexible tinsel wire, terminations are 2-Pin on my sample but can be chosen as MMCX during the order process, this changes the connection type on both the IEM and cable. The guide is actually memory wire which is rather stout, the cable cinch is a slide tube and the y-splitter is a simple and sturdy Y design with ample strain relief. The 3.5mm jack is bent 90 degrees and is gold plated. Build design for universals is a semi custom fit shell that's meticulously built by hand and crafted with an eye for accuracy and presentation. The serial number is on the underside, color coded for left and right. It looks and feels seamless, and on my sample which is practically see through, it will be hard to hide any imperfections or internal issues. There are a few micro bubbles that aren't easy to find unless you pixel peep (I'm guilty of this) and the internals are tidy, presentable and quite interesting to stare at. Being a one balanced armature IEM, they are rather small and fit relatively flush in my ear with room to spare, you can easily see the BA held in place by a clear glue point, the black circle on the underside is (what I'd assume) the vent, the BA nozzle is guided by a tube to the tip of the IEM which ends in a prominent tip lip. 2-pin terminal connectors are securely placed and feel sturdy, they grip well and are not easy to pull out and just a little easier to insert the connectors to. Though the sample FIBAE 1 I have is universal in tip and inner shell design, one can always customize the shell colors (Nozzle/Canal, Inner Shell, Faceplate) using the builder on their ordering page and faceplate design isn't limited at what's available on their site as one can contact them to coordinate a custom that is truly and magnificently yours and yours alone, you can see several samples on the Custom Art Instagram page which include anime images, galaxy speckled designs and a lot more, let your imagination fly. Fit and comfort are unquestionably easy in my ears, I can lie down on the side of my head wearing them, they don't pinch the inner ear or protrude out. Using the most comfortable tips you own (or even the stock ones which aren't bad in comfort and seal, plus that double flange is very good at sealing and comfortable too) will yield hours of usage with no fatigue, especially considering they are light. 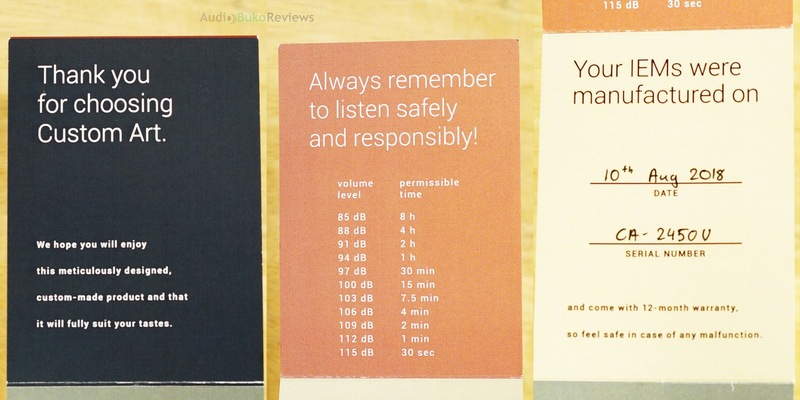 Sound Analysis: When I first tested the FIBAE 1, I heard it as having a musical and relatively clear signature that is as close to neutral without sounding dry or clinical. 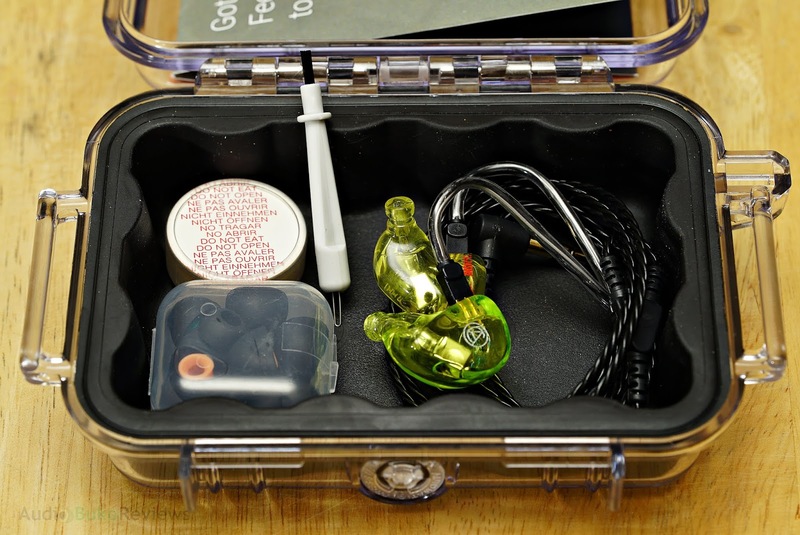 I've been intrigued for a long time with the flat balance tech Custom Art's FIBAE line carries, specially since I have a few devices with more than 1ohm output impedance and have noticed some differences with the tonality of some of my sensitive IEMs when listening in between them. and this was a real treat to listen to, so after over 200 hours of use I'd like to present my findings on the Custom Art FIBAE 1. Bass: There is a little above average level of sub-bass extension with the FIBAE 1, a little surprising with just a single BA powering the FIBAE 1 but at the same time, it sounds natural in terms of reach and intensity. The subsequent rumble and decay happening with the drums in Way Down Deep is done in a rather quick manner, bass guitars in Lithium similarly sound good with a crunchy bite to each string and reverb, giving a feeling of energy to the sub-bass region. Lose Yourself to Dance sounded particularly good with its impact that's with an average weight, there is ample pressure to feel each hit in a blunt force kind of way. A sample of the sensitivity and subtlety of the FIBAE 1 is Hunter by Bjork, the gentle tapping sound you'll hear in the intro is felt, but not in a way that would be considered boosted or emphasized, the addition of a low tone that has a resonating bass vibration is similarly realistically reproduced and doesn't sound over the top. Overall, the FIBAE 1 is mostly neutral in the bass area with a slight bump in the 50-70Hz section (where the thump is generated), and quite responsive to the source player's signature and is capable of providing an enjoyable bass experience. 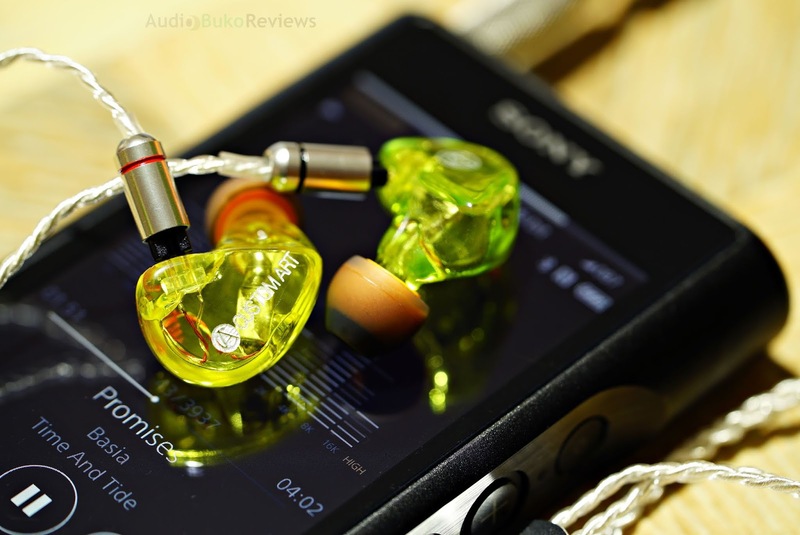 Mids: The mids on the FIBAE 1 are just gorgeous! In the lower mids, naturally placed vocals and instruments come clear and sound engaging, Czeslaw Niemen's Mourner's Rhapsody is an eclectic mix of special effects, bells, drums, organ, flute, bass guitars, violin with a mix of tenor, baritone and bass singers in a church like symphony come together into a musical experience, an auditory treat. The upper mids are a little bit forward giving female vocals a bit more presence and some intimacy than male vocals but both display a level of clarity and detail that is entertaining, Sia's Cheap Thrills in the later part of the song will playfully sound with dual voices in varying intensity over the main chorus line showing good separation and articulation. Overall, Instruments sound good and accurate, crisp and emphatic when needed, Jeremy Soule's Dragonborn sounds rousing with bass and baritones mixing with the chorus of sounds, female vocals chanting, various wind, pipe, stringed, percussion instruments playing and going into a coherent and melodious song. Suffice to say, even Devin Townsend's Pandemic is able to resolve the details and separate the instruments and voices through the wall of near absolute sound this song presents, uncluttered, natural and ultimately enjoyable. Treble: The treble on the FIBAE 1 is almost as good as the mids and bass, extension is a bit above average and tonally is on the neutral side, giving a natural sound to the music that reach these frequencies. There is a crispness that accompanies the air in the FIBAE 1 gives a bit of sparkle when called for. Harmonics like acoustic guitar strings from Silent Lucidity, saxophones from You've Got to Have Freedom, cymbal crashes from Hit The Lights and certain tones all sound well controlled and never rolled off, but at the same time they are neither harsh nor any sound found sibilant. Treble sensitive people will enjoy this as it is categorically not bright but does provide a close representation of the music one will listen to. Soundstage: There is a little above average horizontal stage with the FIBAE 1 and an average degree of vertical front/back space, this gives instruments a good level of sound expansion that doesn't sound congested or compressed. The space isn't ultra or even super wide, but it's more than enough to leave nearly anyone satisfied with the layers, separation and accuracy in the placement of sounds and instruments. 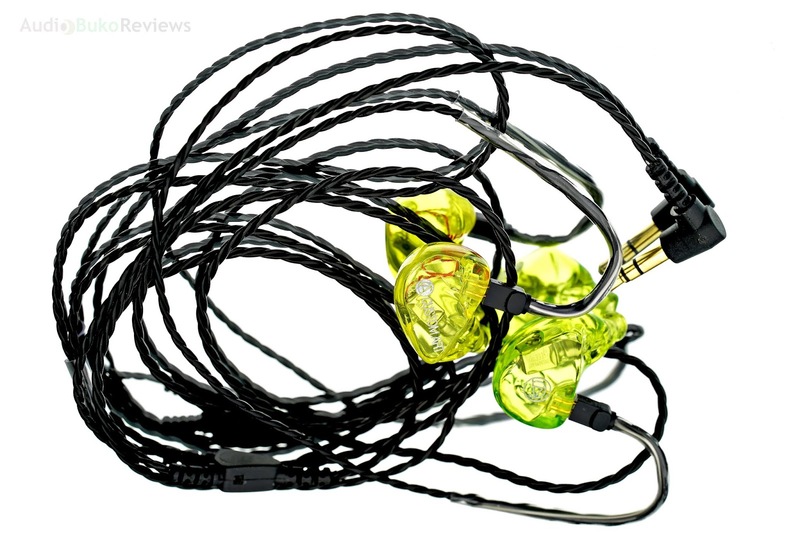 Conclusion: The Custom Art FIBAE 1 is a singular balanced armature sensation, quite neutral enough for hearing what the artist intended you to hear or basically how your dap/source portrays it. Spacious and competent, its tone is accurate enough and beautiful in its rendition that it sounds musical and not clinically antiseptic. The bass is responsive and can thump when needed, mids are alive with detail and clarity, the treble is nice and crisp yet controlled against harshness and sibilance. 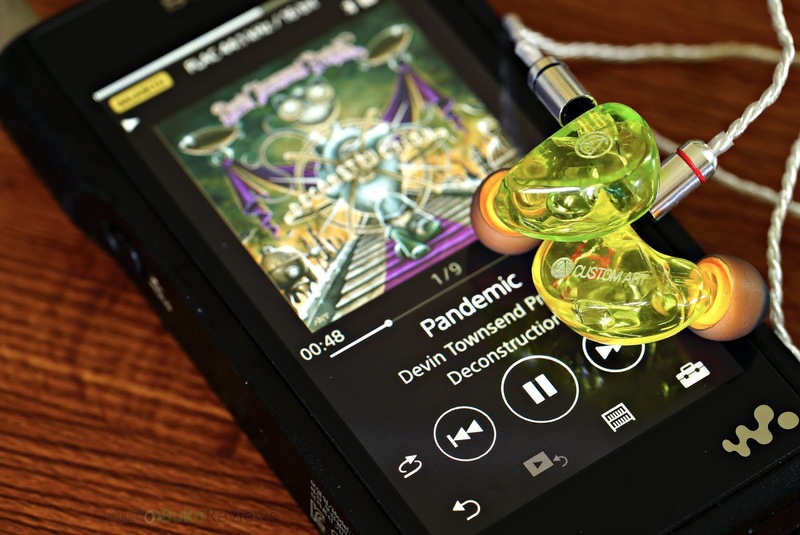 But as the name of the IEM indicates, the Flat Impedance Balanced Armature Earphone is a central technology and it just works, on the R6, frequency shifting is non existent and the natural sound of the dap comes out to greet you. 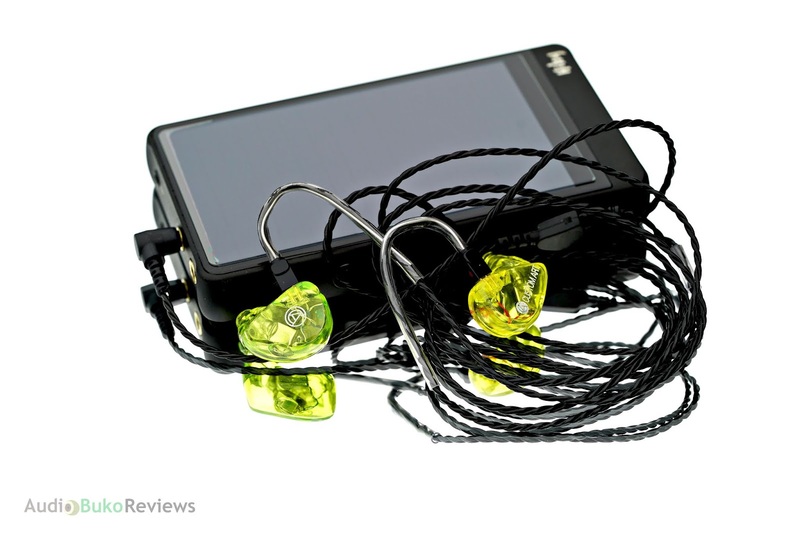 This is the kind of IEM that can be used for both monitoring and enjoying music and is usable nearly everywhere on anything, that is the kind of IEM that is going to be hard to find elsewhere at the price of asking. On a note regarding the FIBAE 1's low sensitivity, it's worth noting that some amps with quite strong output power can induce a mild hiss when no music is playing, but it is neither loud nor annoying. Of course using an iFi iEMatch fixes the issue if one feels it's needed. Pros: Near neutral signature, great mids, Flat Impedance tech, musical, quite usable for mixing and monitoring, great build quality, good fit, good accessory selection. 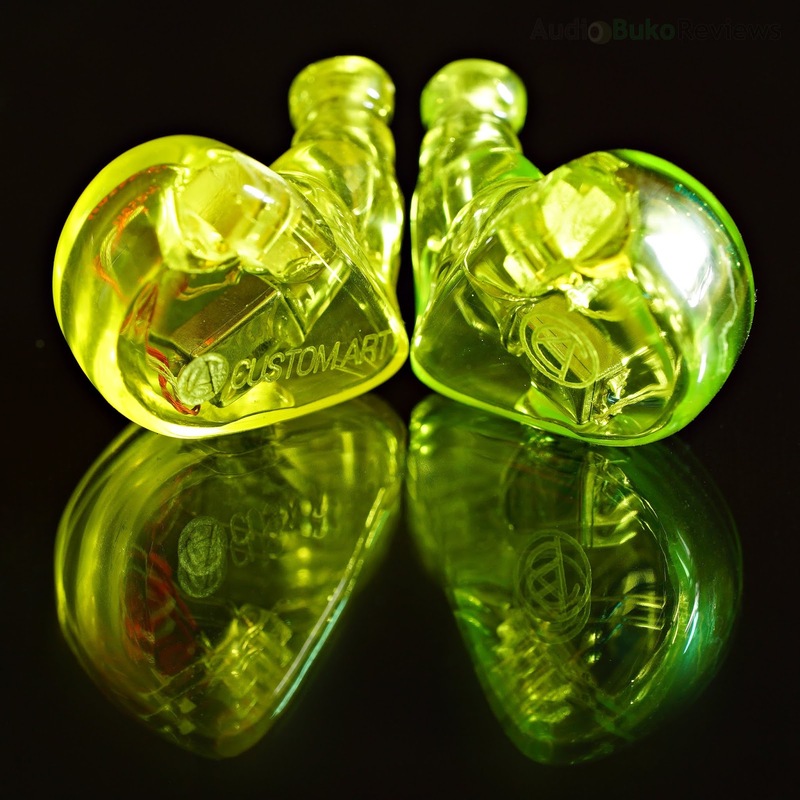 Great review of Custom Art FIBAE 1. First of all thanks for sharing everything in details. It's very helpful. 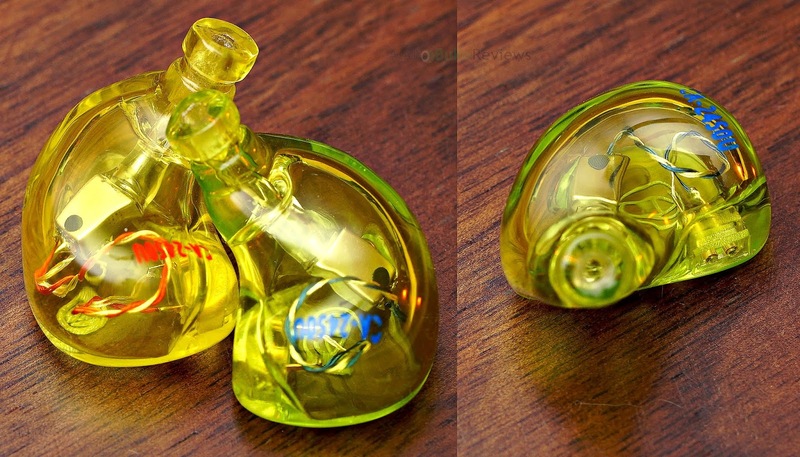 Ear impression of custom art FIBAE is brilliant I like it very much. Visit high performance cases for the best Custom Made Flight Cases.